According to Forbes Magazine, Gisele Bundchen is soon to become the world’s first billionaire model. Over the course of the last ten years Gisele has made approximately $215 million for her modeling work and campaigns. These ventures along with her various real estate investments are very likely to bring the model to the billionaire mark. 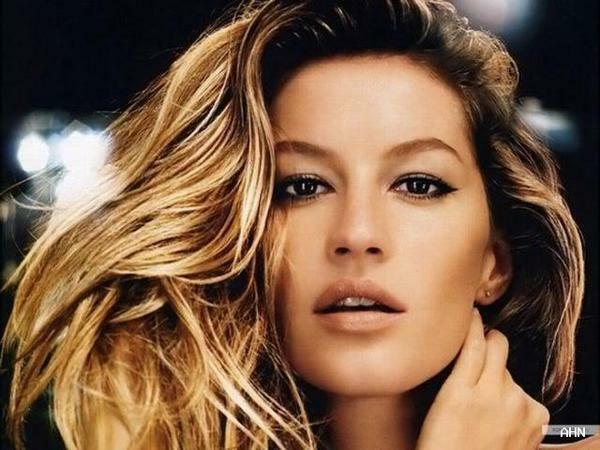 It is safe to say that Gisele Bundchen puts the SUPER in supermodel. When Gisele Bundchen comes to mind, many of us remember her as the drop-dead gorgeous Victoria's Secret Angel. Gisele is without a doubt all of the above, but is also recognized as the face of many major designers, including Louis Vuitton, Dolce & Gabbana, Blvgari, and Christian Dior. Her most recent campaigns for H&M, Versace, and Inpanema flip-flop line are the most current major contributors to her rapidly growing income. In Brazil, she also has her own lingerie line in partnership with Hope called “Gisele Bundchen Brazilian Intimates” and a skincare line “Seeja Pure Skincare”. Gisele’s modeling career began at age 14 in Sao Paulo, Brazil when she was discovered by an agency at a shopping mall in 1994. She grew up in Horizontina, Rio Grande do Sul, a town in the backcountry of Brazil mainly populated by German-Brazilians like herself. Originally, Gisele wanted to become a professional volleyball player and was often teased in school for being so skinny. Little did they know what the future had in store for the slender, blue-eyed, 14 year-old girl of Horizontina. After placing 2nd in the national contest and 4th in the world contest of Elite Look of the Year, Gisele left the backcountry and moved to New York City in 1996 to begin her modeling career. 1999 was an explosive year for Gisele’s modeling career as she appeared on the cover of Vogue Magazine July, November, and December and was voted VH1’s Vogue Model of the Year. In 2000 she appeared on the cover of Vogue Magazine yet again for three consecutive months and on the cover of Rolling Stone Magazine naming her “the most beautiful girl in the world”. Since then Gisele’s face has graced the covers of hundreds of top fashion magazines, such as Elle, W, and Allure, as well as broader publications like GQ, TIME, Vanity Fair, and Forbes Magazine. Featured in over 600 magazines world-wide, it is no wonder Gisele has established herself as an international icon. The versatile supermodel has starred in advertising campaigns anywhere from Nivea Lotion to Christian Dior. After acknowledging Gisele’s endless achievements it is no surprise that from 2009-2010 she earned an estimated 25 million making her the top earning supermodel and one of the most powerful celebrities in the world. Gisele uses her success and power to also give back to the world and is involved in numerous charity activities, including the I Am African Campaign helping to protect against HIV/AIDS, St. Jude Children’s Research Hospital, and is a goodwill ambassador for UN Environment Programme, to name a few. Supermodel or billionaire, Gisele Bundchen's modeling career, success, and charity involvement is very inspiring.